Teen Challenge, among the world’s largest and most successful substance abuse recovery programs, grew out of an Assemblies of God minister’s burning desire to share Christ with troubled youth. The program’s origin with David Wilkerson in 1958 and its subsequent expansion around the world is a remarkable testimony to God’s life-changing power. After reading a news article in the Feb. 24, 1958, issue of Life magazine which talked about a high-profile murder trial for members of a teen gang in New York, David Wilkerson, a young pastor in Philipsburg, Pennsylvania, prayed about this situation. He felt a compelling burden to go to New York City and help those boys. With the prayers of church members, and accompanied by his youth pastor, Wilkerson headed to New York City. He attempted to speak with the judge during the trial, but was thrown out of the courtroom. An embarrassing photo of him holding up a Bible was featured in the New York Daily News. Although his efforts seemed unfruitful, he learned that a number of gang members had been in the courtroom that day. The gang members figured if the cops didn’t like him, and the cops didn’t like them, they all were in the same boat. The gang members began watching what Wilkerson did. He took advantage of this newfound popularity to preach the gospel both in street meetings and in crowded gang hideouts and heroin “shooting galleries.” Eventually he enlisted the aid of 65 Assemblies of God churches from New York and held a citywide rally for gang members and teens caught up in the gang culture. On the last night of the rally, members of the Mau Maus, Bishops, and several other gangs were in attendance. At the conclusion of the service, dozens of gang members came forward to accept Christ as Savior, including Nicky Cruz, a teen gang leader from Brooklyn. From this small beginning, additional street rallies were held in New York City, and shelter was offered to young people in need. Evangelism, street meetings, and outreach to teens remained essential, but this new ministry also encompassed recovery from addiction, counseling, and training in practical life skills. This ministry, which is now known as Teen Challenge, focused not only on Christian conversion, but also on Christian discipleship. In the early 1960s, Dave Wilkerson teamed up with John and Elizabeth Sherrill of Guideposts magazine to write the story behind Teen Challenge. The Cross and the Switchblade, published in 1963, gave the compelling story of David Wilkerson’s ministry to the gangs of New York City and the start of Teen Challenge. A popular movie of the same name was produced in 1970, which starred Pat Boone and Erik Estrada. Teen Challenge centers sprang up in Brooklyn, Chicago, Boston, Dallas, Philadelphia, San Francisco, Los Angeles, etc. Many of these new Teen Challenge ministries were pioneered by people who had read The Cross and the Switchblade or had visited another Teen Challenge ministry. 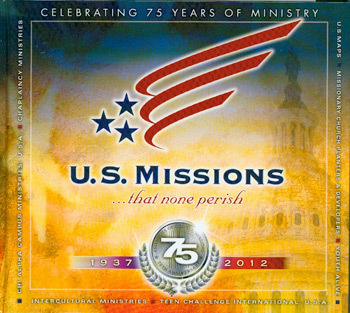 Fifty years ago, in the Aug. 27, 1967, issue, the Pentecostal Evangel highlighted the ongoing growth of the Teen Challenge ministry in an article titled, “Teen Challenge on the Move.” This article featured two new Teen Challenge centers located in Denver and Bayamon, Puerto Rico, as well as centers in Detroit, Seattle, Philadelphia, Boston, and Dallas-Fort Worth. A dozen Teen Challenge centers had been established worldwide by 1967. What began as an outreach by David Wilkerson to the gangs of New York City in 1958 has developed into one of the largest and most successful Christian treatment programs for individuals caught up in drugs, alcohol, and other life-controlling problems. In addition to 30 administrative offices and 227 Teen Challenge centers in the United States, Global Teen Challenge has been set up to assist with the development of new centers outside the U.S. In 2017, Global Teen Challenge is in 122 countries, representing 1,200 programs. The specific challenges and methods have changed over the years, but Teen Challenge’s focus remains the same. Teen Challenge leaders recognize that preventing addiction and other life-controlling problems is a process, and Christ alone holds the key to prevention and cure. Read “Teen Challenge on the Move,” on pages 16 and 17 of the Aug. 27, 1967, issue of the Pentecostal Evangel. William W. Hays (1927-2010) came from a family known for drunkenness and crime, and he lived up to his family’s poor reputation. Addictions and debauchery almost led William to an early grave, but God delivered him and called him into ministry. The ex-convict and former addict became a noted Assemblies of God prison chaplain and evangelist, devoting his life to helping others escape the living hell that he knew well. He shared his story in the July 22, 1962, issue of the Pentecostal Evangel. William was raised during the Great Depression in an impoverished community along the Arkansas River near Fort Smith, Arkansas. Moonshine, violence, and prostitutes were a way of life in the community. William started drinking moonshine at age 5. He got into daily fistfights with other children and dropped out of school in the seventh grade. He and his brother, Benny, devoted much of their time to helping their father make whiskey. At age 17, William fell in love with a lovely young girl, Edith Mae, who had been raised in a Christian home. He was attracted to her “clean way of living.” After a whirlwind courtship, they married a few weeks later, on the condition that he would stop drinking. But he could only fight the urge to drink for a few days, and he again succumbed to what he later described as the “demon forces” of alcohol. William’s wife, Edith Mae, spent much of the first 14 years of their marriage in tears and in prayer. She had six children in eight years, and William proved to be unstable. When he returned home from wandering, he would show tenderness to her and their children. But the next moment he might be wild and rash. His life got even worse. William became addicted to morphine, and, at age 25, his body began to waste away. One more tragedy made life unbearable. His brother, Benny, who had been living in squalor with a prostitute, was murdered with a shotgun at close range. Seething with anger, he tried to find Benny’s killer, but was unsuccessful. By age 31, William’s body was giving out. His nerves were shattered, his body was emaciated and addicted to alcohol and heroin, and his spirit was deadened to the world. He ended up in a state mental institution, where doctors gave him a few days to live. Almost immediately, William’s condition began to improve. Brown helped to disciple William, teaching him how to follow Christ and to be a faithful husband and father. Brown warned him that he must take certain definite actions, or he would not experience lasting change. “You must study the Bible consistently and earnestly, and regularly attend a church,” he insisted. As William did this, he was able to overcome the temptations to return to his former addictions and lifestyle. The new Christian felt compelled to share his testimony. He went to his former buddies on Skid Row, and they initially laughed at him. The road back to health was a struggle, but as William made progress, people took notice. When his former associates saw a lasting change in William’s life, they wanted to know more. William read the Bible voraciously, hungry to know God. He sensed God’s call into the ministry and, in 1962, was ordained by the Assemblies of God. He pastored several churches, started rescue missions in Fort Smith and Oklahoma City, and then became director of the Teen Challenge center in Fort Worth, Texas. William felt a tug to prison chaplaincy, in part because his brother spent two stints in the Arkansas State Penitentiary, which was known as the “hell hole of the penal system.” He helped to lead a successful prison reform movement, which made prisons safer in Arkansas. He also engaged in chaplaincy work in dangerous prisons in Mexico. In his later years, he served as coordinator of prison and jail ministries for the Oklahoma District Council of the Assemblies of God. William W. Hays was an unlikely candidate to become a minister, much less a prison chaplain. But when God changed his life, his early years behind bars and on the wrong side of the law became an asset for his new calling. Read William W. Hays’ testimony, “Delivered from Dope and Death,” on pages 8-9 of the July 22, 1962, issue of the Pentecostal Evangel. 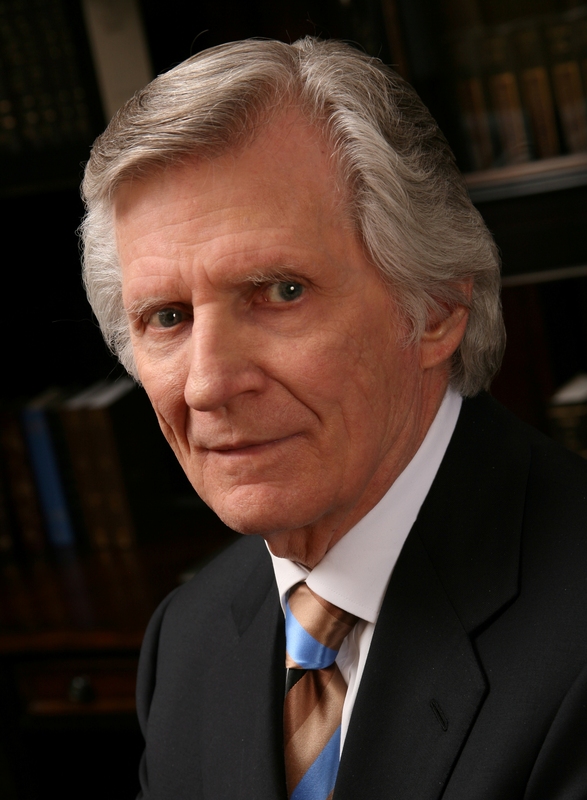 Reverend David Wilkerson, the author of The Cross and the Switchblade, as well as the founder of Teen Challenge, World Challenge Ministries and Times Square Church, was killed on Wednesday, April 27th in a head-on collision at Tyler, Texas. He died at the scene, while his wife was rushed to hospital where she remains under observation. He was 79. A private funeral service held on May 2nd at Rose Heights Church of God, in Tyler, was attended by members of Wilkerson’s family and close friends, including evangelist Nicky Cruz. His body was laid to rest in Lindale, Texas. During the funeral service, a tribute video was shown to those who attended. To view this video, please click on: A Tribute to David Wilkerson. Members of the church and the public will have the chance to pay their respects at a memorial service to be held at Times Square Church in Manhattan, New York City at 2:00 p.m. Eastern Time on Saturday, May 14, 2011. There will be overflow locations once full capacity has been reached inside the church. The service will be streamed live beginning at 2:00 p.m. on the Times Square Church website. A simultaneous translation of the service will be available in 10 different languages via conference call lines, details of which will also be posted on the church’s live stream page. Wilkerson left a lasting legacy through his evangelistic ministry which spanned four decades and included preaching, teaching and writing. He has authored over 30 books, but was well known for having written “The Cross and the Switchblade,” also made into a movie, which gave an account of his ministry among New York gang members and drug users. Over 50 million copies of the book have been sold and it has been translated into 30 languages. This led to the establishment of Teen Challenge which has continued to minister to those caught in addictions. Today, there are 233 Teen Challenge Centers in the United States and 1,187 total worldwide. In 1987, David Wilkerson returned to “the crossroads of the world” to establish Times Square Church. Since then, he faithfully led this congregation, delivering powerful biblical messages that encourage righteous living and complete reliance on God. With a strong burden to encourage and strengthen pastors throughout the world, Wilkerson has been traveling around the globe since 1999, holding conferences for Christian ministers. His last blog, posted on April 27th, ended with these words: “Stand fast in [God’s] Word. There is no other hope in this world.” See: “When All Means Fail.” David Wilkerson was living in Texas with his wife, and together they have four children and 11 grandchildren. The Pentecostal Evangel is also working on an issue in tribute to David Wilkerson. “Call to Anguish” (David Wilkerson’s soul-stirring sermon on the necessity of anguish – to bear God’s heart, passion, and burden within our lives) posted on YouTube. “The Dangers of the Gospel of Accommodation” (A sermon given by David Wilkerson at an Assemblies of God Headquarters chapel service on March 10, 1998, now posted on AGTV). A transcript of Wilkerson’s message on the Dangers of Accommodation in Enrichment Journal, Winter 1999. “Teen challenge: 50 years of miracles” in Assemblies of God Heritage, 2008, p. 14. Teen Challenge: 50 Years of Miracles, by David Batty and Ethan Campbell. Springfield, MO: Teen Challenge USA, 2008. Since it first appeared forty-five years ago, The Cross and the Switchblade widely circulated as a book, movie, and comic in Pentecostal and evangelical circles and helped to spur the charismatic movement in mainline Protestant and Catholic churches. At a time when Americans were more concerned than ever about the rise of juvenile delinquency and crime, its author, David Wilkerson, testified to the power of the Christ over addiction, crime, and gang violence. A handsome coffee table book, Teen Challenge: 50 Years of Miracles provides the rest of the story. David Batty and Ethan Campbell recount how Wilkerson, who had been praying for God’s direction, found himself drawn to the harrowing tale of the brutal murder of Michael Farmer, a handicapped teenager, by several members of the Egyptian Dragons. When it appeared in 1957, the news story shocked the nation and generated tremendous press coverage. To the searching Wilkerson, the plight of gang members appeared a call to action. He moved to New York, where he successfully developed connections with gang members. Batty and Campbell trace how Teen Challenge, the organization he founded, grew to an international organization of over 1000 Christian drug and alcohol treatment centers. There are a few things the book does not do. It does not place Teen Challenge in the context of the history of the Assemblies of God, youth ministry, or the American conversation on juvenile delinquency. In content and tone, it is a celebration and not an analysis. This is not primarily a scholarly book. However, what it does do, it does well. It is divided equally into three parts. The first chapter traces the growth of Teen Challenge as a local ministry to youth in Brooklyn during the 1960s. The chapter is broken into easily-read sections profiling important events and Teen Challenge participants. A rich collection of photographs and reproductions of documents tell the story even more powerfully than the text. Those interested in the religious literature of this decade will appreciate the many photographs of books and Teen Challenge promotional materials. The next two chapters trace the growth of Teen Challenge across the United States and globe. These sections follow the same format and focus almost entirely on contemporary personal testimony. Overall, this volume presents a well-organized visual feast and a spiritual chronicle that anyone concerned about the victims of addiction will appreciate. Hardcover, 199 pages, illustrated. $25.00 plus shipping. Order from Teen Challenge USA by phone (417-862-6969 ext. 212) or online (www.TeenChallengeUSA.com). The 2008 annual edition of Assemblies of God Heritage magazine is hot off the press and will shortly be mailed to all credentialed Assemblies of God ministers. Additional copies may be ordered online or by phone: 877.840.5200 (toll free). Download selected free articles from the 2008 edition from the Flower Pentecostal Heritage Center website. If you like what you read, consider ordering the entire 2008 edition of Heritage for yourself, or as a gift for your friends or relatives. We think you will agree that Heritage magazine is a keepsake! This Oxford-educated pastor became one of the most noteworthy Pentecostal evangelists of the twentieth century. What began as an outreach by David Wilkerson to the gangs of New York City has developed into one of the largest and most successful Christian drug-treatment programs. The “King of Rock ‘n Roll,” the most famous Assemblies of God Sunday school prospect from the 1950s, experienced an all-too public struggle between his religious upbringing and the temptations of the world. BY JAMES R. GOFF, JR.